Video to GIF Simple Universal Converter. Is there a better alternative to ZetGIF? Is ZetGIF really the best app in Video category? Will ZetGIF work good on macOS 10.13.4? ZetGIF is a simple video to GIF converter for macOS. Just select a video, and it will be automatically converted into GIF file. ZetGIF is both simple and powerful. It features straightforward converting process and provides such powerful features as adjusting FPS and converting high-definition videos. Simplicity: no complex adjustments, straightforward process. 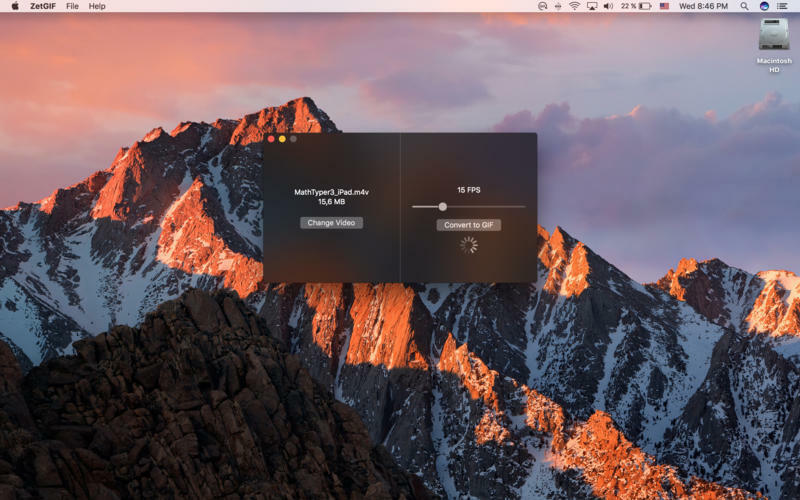 Status Bar extension: create GIFs in one click (literally!). Support for most of the major video formats. ZetGIF needs a review. Be the first to review this app and get the discussion started! ZetGIF needs a rating. Be the first to rate this app and get the discussion started!